How would I create an array of the values from the flow and pass them into the APEX @InvocableMethod? And my flow has 4 values to be passed but they need to be combined into one list in order to pass them to the Apex class. Right now they are all separated. Creating a collection variable doesn't seem right to me because there is no where to add the values to it. Is there another step that I need to do within the flow to add the values to the collection variable? Probably, this could be easy solution. I would suggest to gather a String value in a comma delimited way from the flow and then pass it to the Invocable method. And, you know how to split comma delimited String and create a List<String> in the invocable method (if needed). Not the answer you're looking for? Browse other questions tagged apex visual-workflow collection invocable-method apex-variable or ask your own question. 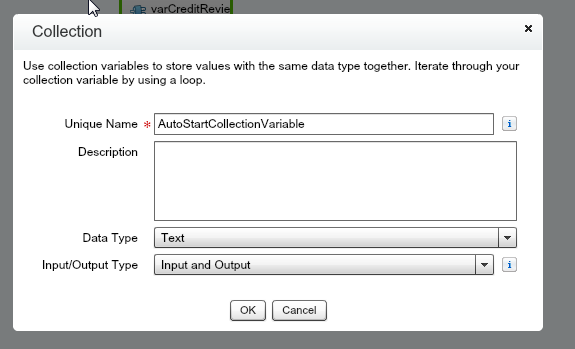 Flow + @InvocableMethod: How to assign output to collection/sobject collection variable?